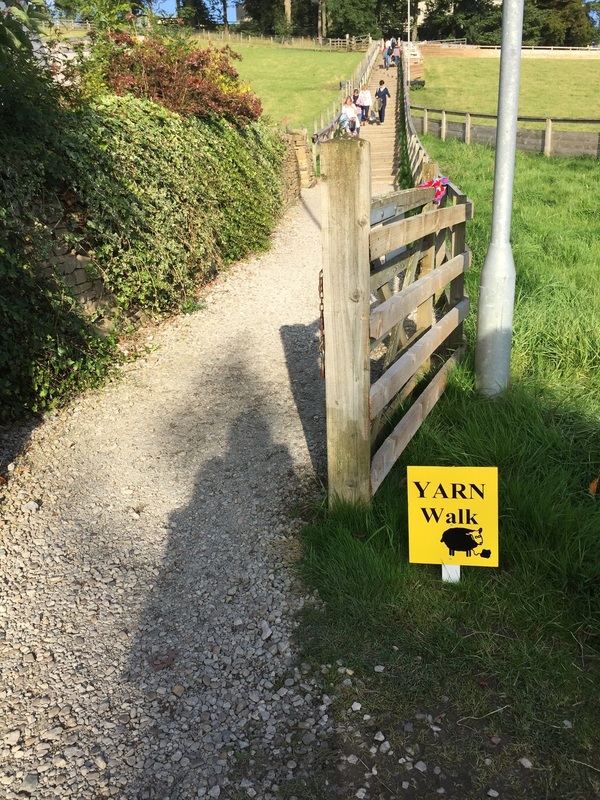 Yarndale has to be my favourite of all the woolly festivals. It's one of the only Yorkshire festivals and celebrates lots of independent creatives as well as some of our favourite yarn shops and retailers. Skipton has a beautiful little park which you walk through from the train station to the auction market following the happy and colourful yarn bombing as you go! After following the very pretty and colourful bunting, it was time to 'try not to' spend too much on lots and lots of yarn and buttons. The Pendle stitches yarn shop had an amazing display of the Illustrious book I designed and styled West Yorkshire spinners. ... and cool crafting displayed the #britishsheepslippers I designed exclusively for Erika Knight in Fur Wool to celebrate Wool week 2015. ... A beautiful Hank of yarn from Eden cottage yarns in an amazing shade of bright coral! Toft alpaca Pompom, the softest of pom-poms ever made and a beautiful addition to a cables hat. I bought the wool issue of Pompom magazine, which includes some really wonderful designs . A new collection of buttons in some rather beautiful bright blues and my favourite autumnal colour, mustard! oh and a very pretty purse clasp from cool crafting- who have the nicest clasps, you can go check them out here. what did you buy from Yarndale this year? I can't wait to hear about your woolly purchases!